Ladybugs are among the most beneficial insects. These are indeed voracious and efficient predators of insect pests, which feed on over 50 species of aphids. 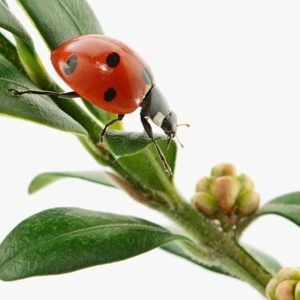 A single ladybug will consume thousands of insects during his life, helping to protect the gardens as well as commercial orchards and field crops. Ladybugs do not bite, they do not spread disease and do not infest food reserves. In addition, only three of the 450 species of ladybugs in North America eat plants. One of these species, the Asian lady beetle (Harmonia axyridis) is causing an increasing number of complaints. In the fall, in fact, the Asian lady beetles congregate in large numbers and are seeking a safe place to spend the winter. Attracted to homes and buildings, parts of which are exposed to the sun, they gather on the exterior walls and eventually introduced inside through cracks or openings. Their considerable number can be a real nuisance for some homeowners. With their orange-red body shaped dome spotted black spots, ladybugs are among the insects that we are most familiar. The main physical difference between the species that live in Canada based on the number of black spots on their wing covers, such as ladybugs or ladybirds two points to thirteen points. Imported from East Asia in the 1970s to help fight against aphids and other pests, the Asian ladybug was immediately established in North America. His vigorous reproductive cycle and its ability to withstand harsh winters rather helped her to become a predominant species in Canada. Slightly larger than the native species, the Asian ladybug typically measure 6 to 10 mm in length, and its color varies from mustard yellow to a dark reddish orange. The number of black spots on elytra may vary and some Asian ladybugs have none. In addition, it has two white oval marks on each side of the head and usually an “M” shaped spot just behind the head. Like many other insects, the bright colors of the Asian ladybug constitute a defense, warning birds and other predators that it is not there a tasty meal. During the summer, ladybugs feed on soft-bodied insects such as aphids and scale insects. With the approach of autumn, when temperatures drop, most species of ladybirds are preparing to spend the winter on the ground in the forest, often at the foot of a tree, under the bark, leaves or other debris. Asian ladybugs, for their part, are attracted to sunny places, such as homes and buildings where they aggregate hundreds, even thousands, in search of warmth and shelter to spend the winter. The houses near fields or wooded areas are particularly targeted. After aggregated on the exterior walls, lots of ladybugs will bring into the house through the interstices of a door frame, a window, eaves, access to public services, foundations and wall coverings. Once inside, they become confused and gather on the walls and ceilings, as well as around the windows, looking for a way out. Most will die shortly after entering inside, but others may find a safe place to hibernate in the attic or wall voids, emerging from time to time during warmer periods. 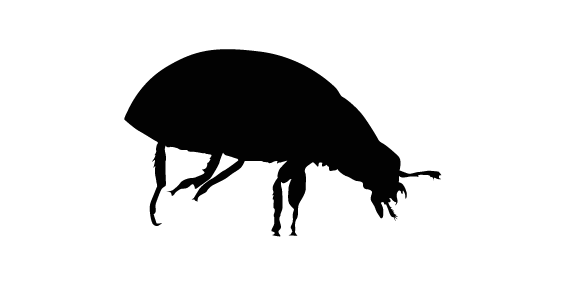 In late winter or early spring, it is expected to larger invasions when the beetles leave their shelter and looking to get to breed. The Asian lady beetle produces several generations each year; the adult female lays 10 to 50 eggs tiny, pale yellow, almost aphid colonies. The black larvae mottled orange stripes are adorned with thorns and look like small alligators. Like adults, larvae have an insatiable appetite for aphids. Do not wait to be infested! For the extermination of ladybugs, call Groupe AZ Extermination. His professional inspection is free, effective and very fast. Call 514-381-3555 now!